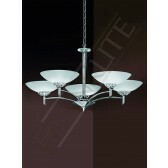  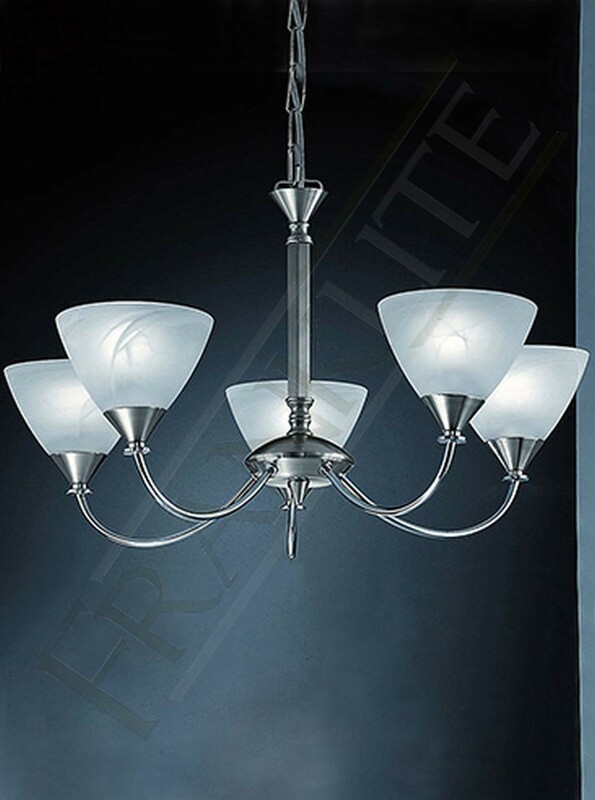 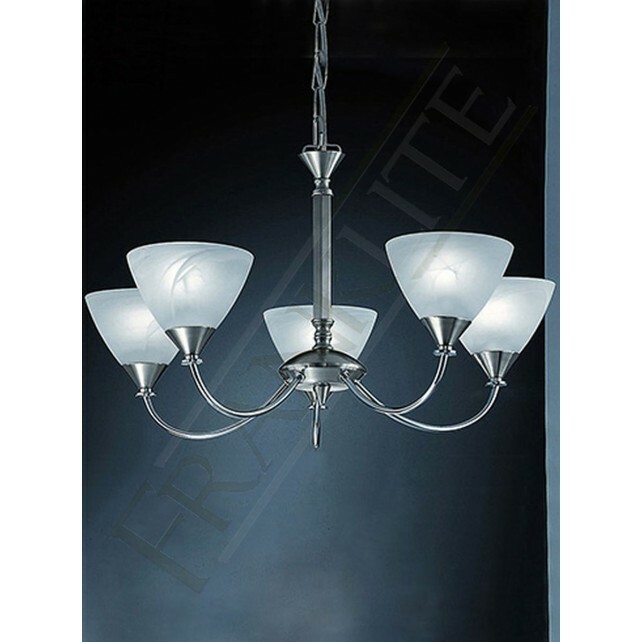 The modern 5 light chandelier styled light from the Meridian range by Franklite shows a polished chrome finish, with a dual mount ceiling fitting. 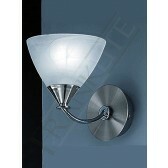 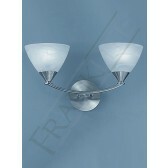 It can easily be converted to a semi-flush fitting for rooms with lower ceiling restrictions. 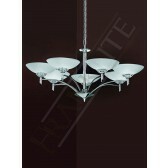 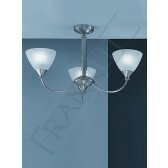 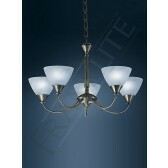 A chunky support central rod with 5 curved arms holding alabaster effect glass bowls. 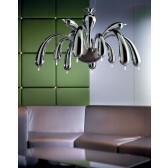 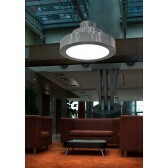 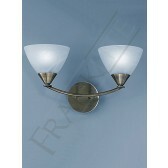 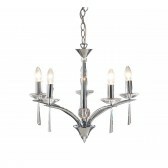 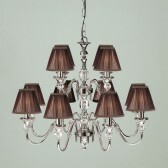 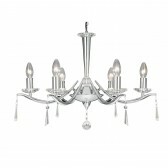 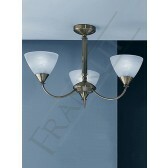 This ceiling light could be your perfect centrepiece to place in your home.